See DJ Pander’s 10 correct pronunciation lessons on Beer Syndicate, so you can be corrected in the privacy of your own home and not out in public. After watching a few YouTube videos featuring employees from Russian River including co-owner/brewmaster Vinnie Cilurzo talk about the beer, “Pliny” (the beer) is pronounced “Ply–Nee” where the “Ply” is pronounced like in the word plywood. 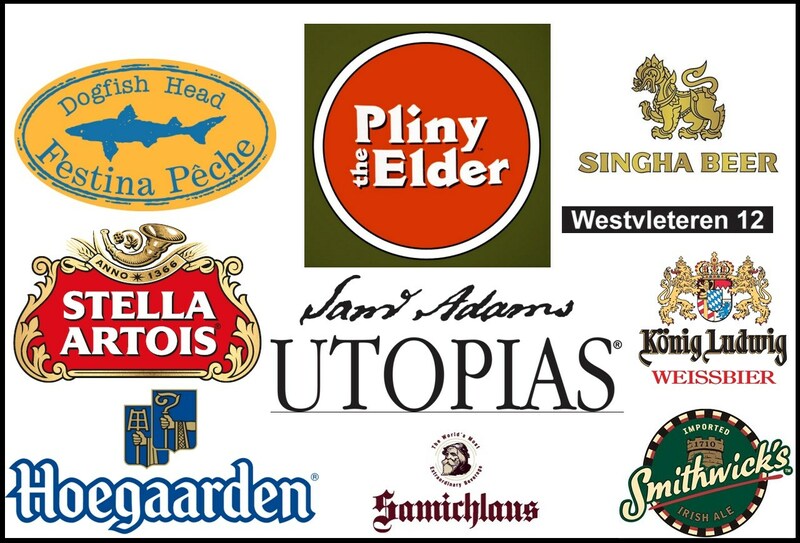 However the pronunciation of the historical person “Pliny”, who the beer is named after, is actually closer to “Plenny”, like the word “plenty” without the “t”. Here’s a quick YouTube video-pronunciation of Pliny, the man, and here’s another short video about the life of Pliny where you can get plenty of practice pronouncing “Pliny”. So even though the brewery probably originally mispronounced “Pliny” when meaning to refer to Pliny the man, it’s too late to turn back now. Therefore pronounce the beer as “Ply-Nee”, and the historical figure as “Plenny”. This “Neo-Berliner Weissbier” created by epic brewermaster Sam Calagione of Dogfish Head Brewery has been a sour summer treat since 2007, but how do you say “Pêche”? You might hear Sam pronounce it “pesch-ay”, but this French word for peach is closer to “pesch” where the “pe” is pronounced like in the word “petal”. Now you also know how to pronounce the sweet and sour peach Lambic from Lindemans called (you guessed it) Pêche! Often proclaimed as the “best beer in the world” (currently rated # 1 on RateBeer, and # 9 on BeerAdvocate), Westvleteren 12 is one of the most coveted beers on the planet. Brewed in limited quantities by Trappist monks in Belgium and officially sold only at the brewery itself and at the abbey-owned café called In de Vrede(In The Peace), Westvleteren 12 can be tough to come by and tough to pronounce. No, this dark Belgian quadruple isn’t pronounced “West-Vet-Air-In”, but rather “Vest-Flayter-In”. For an audio example of the pronunciation, check out the first 10 seconds of this YouTube video about the brewery. Still too tricky? Then go with the beer’s nickname: “Vesty”. This Thai beer is pronounced “sing”, not “sing-ha” because the “ha” is a silent ha. Ha! “Singha” is an imported word from Sanskrit and refers to a powerful mythological lion in both ancient Hindu and Thai stories. The Sanskrit word was “Siṃha” (Pron: sing) or “Singh” (Pron: sing) also meaning lion, so it seems the Thai word is a combination of those transliterations, but in every case, the word is pronounced “sing”. Smithwick’s is an Irish beer, not English, so don’t be an eejit; say it right: “Smih-dicks”… Not “Smith-Wicks”. There’s such a mispronunciation-epidemic of this word that the brewery prints the phonetic spelling of the word right on 12 pack boxes. No, it’s not pronounced like what Snoop Dogg might call a park in Compton, but more like this: “WHO-Gar-Den”.